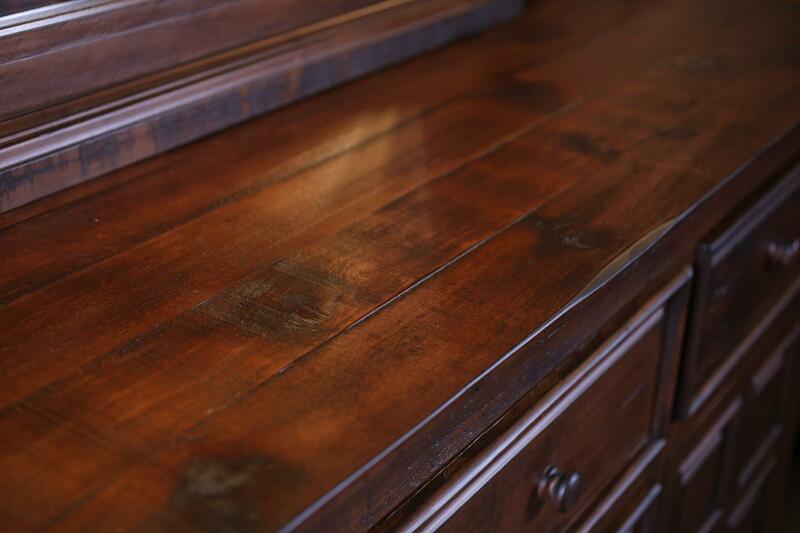 A beautiful complement to the Restoration bed and night tables, with 6 horizontal drawers and 2 doors. 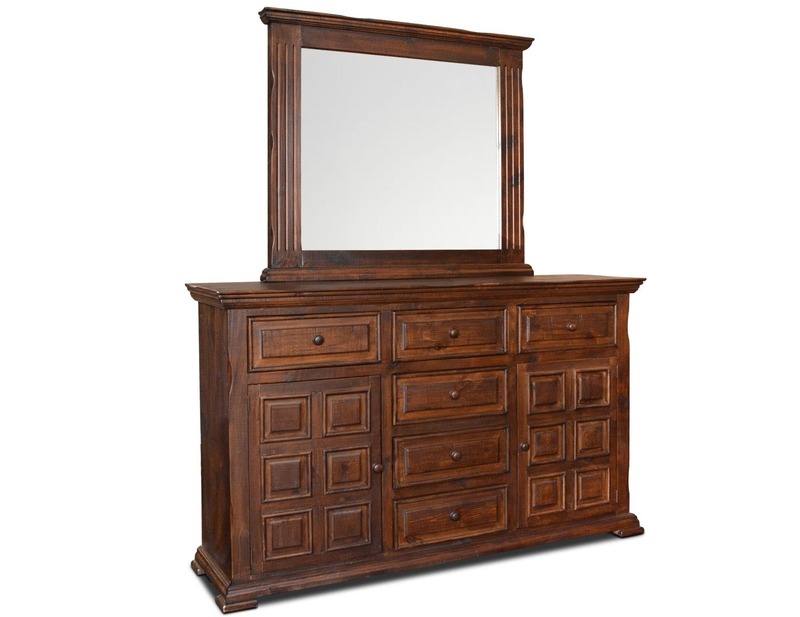 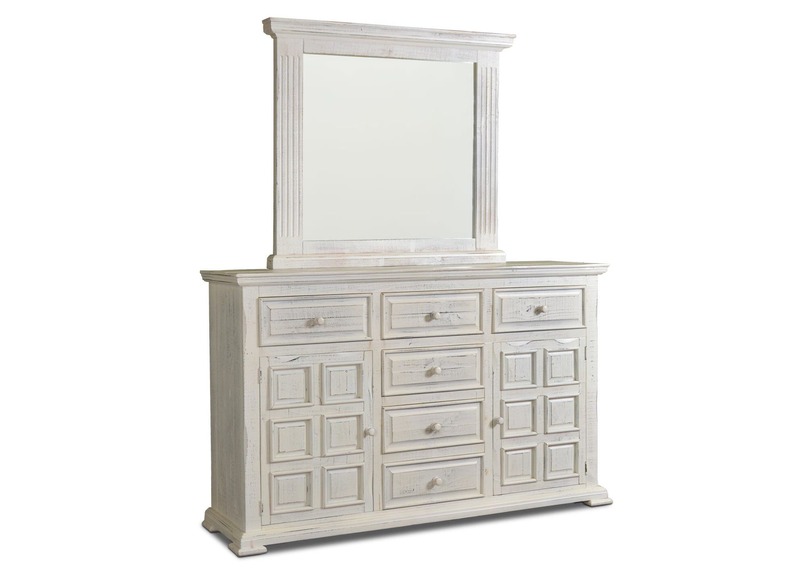 With 6 horizontal drawers, this is a more traditional shape of dresser for your Mexican bedroom. 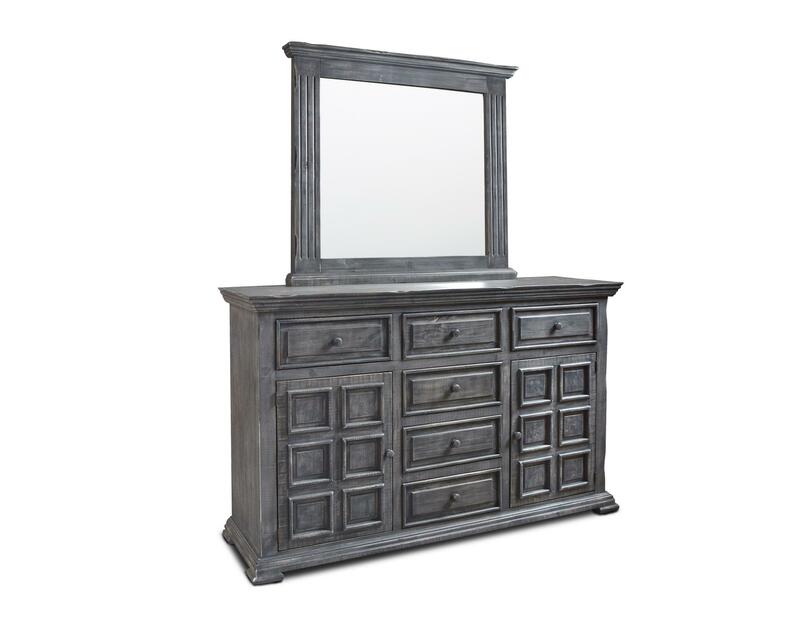 A beautiful complement to the Restoration bed and night tables, this wonderful dresser features the same gorgeous dark-patina hardware, solid pine construction and Antiqued weathered Dark Grey finish which is evocative of the passage of time yet eminently sophisticated.